Hello, blog readers. I hope all is well in your part of the world. I realized last year that this blog hits a lot of different corners of the United States. So I am wishing you well wherever you are today. Thanks for connecting with me and thanks for reading. Today, I’m thinking about this: I am very thankful I do things my way. You may be wondering to yourself, well yeah, duh, of course you do it your way, what’s the point? Well, the point is this. I am thankful that I have learned from great coaches in this profession and that I have had the chance to apply what I learned from them and created my own way of doing it. So, yeah, I am excited to wake up every day and do it my way, the way I have crafted my career for the past 22 years. Learning from others and crafting your own avenue with it is what life is all about. You need to take bits and pieces of things you like and create your system. You need to be a life long learner. That’s how you stay on top of your game. Never stop learning. Monday, I decided it was time to name a captain. I woke up this morning and I said it’s time to do it. I like where this team is and there is solid leadership. It was just the right time. So before practice and just following a team meeting where I was heated about some things, I named Christian Jimenez a captain for 2017. It was fitting and he deserved it. Here is where I am thankful I do things my way and I will never waver from my style. Over the course of 22 years I have seen every process imaginable to name captains. Everything from a team vote, to creating resumes and applying for the position of captain. You name it, I have seen it. Well, to me, that stuff gets old. I would rather watch kids grow and develop into the type of leader each team needs. You don’t need a popular vote to anoint your captains. That is a recipe for disaster. You must know and understand your team. I know what this team is about and I have their pulse. Jimenez is a legitimate captain, maybe the best we will ever have in that role. I trust him! Now, here is where I’m really outside the box, or at least I think so. As I just said, I trust Jimenez. Trust is everything. So after practice Monday, on a whim and in front of the whole team, I told Jimenez he has 30 seconds to pick the next 2017 captain. Without hesitation, he selected Andrew Dotray and explained why. And there you have it; we now have two captains. I empowered Jimenez and showed him how much I trust him. You need captains to understand it’s not just a title. It’s a real leadership role. You need to make it important. I showed him today how important his role is and how much I respect his judgement. That will go a long way in continuing on with our great team dynamic. I don’t need fancy leadership council members, team votes or resumes. I have the pulse of my team and that, at its core, is what selecting captains is all about! Maybe you will take something from this. Maybe you won’t. But, I know this — I do it my way and I am never changing! -I swapped tweets with Bonnie Bernstein the other day. She put out a great Instagram post and generated a lot of positive conversations about the current state of our great country. Her theme, in a nutshell, was we can all disagree and we can still do it by respecting each other. I loved it! It was a great read. She has been one of the best in sports since as long as I can remember. She gets it. She always has. Hoping she continues on in the sports world. Need more people like her in the world of athletics. -Hoping the Boilermakers have a good season this year. It’s been 7 years since I left there and came to Lubbock. Really enjoyed coaching there and the people. It’s a good spot. -I’m predicting the Penguins win a third straight this year. -Our offense is an anomaly and it has no name. That’s the way I like it. -Nate Gensler is opening a steakhouse called the “99’er”. Good for him. -This is no surprise. 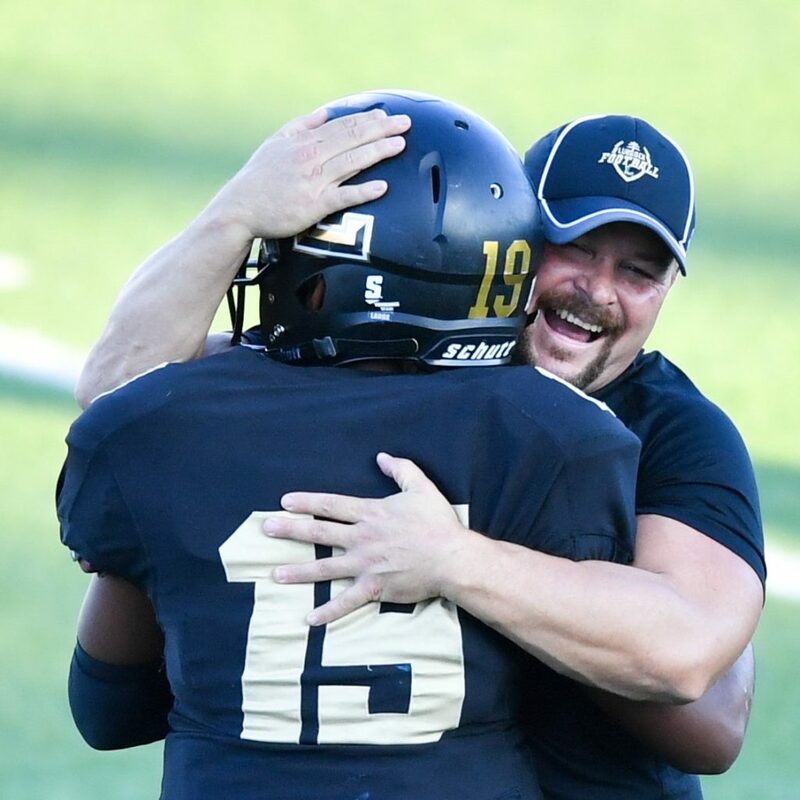 Coaching Texas high school football is the best. Nothing can compare to it. It is thee place to be for high school ball. Thankful every day for it! -Fast Times at Ridgemont High. Kills me every time I see it. Mr. Hand was the best. I just turned 41 and it seems like that movie came out yesterday. -I maybe 41 but I feel like I’m 21. So forget I mentioned my age.